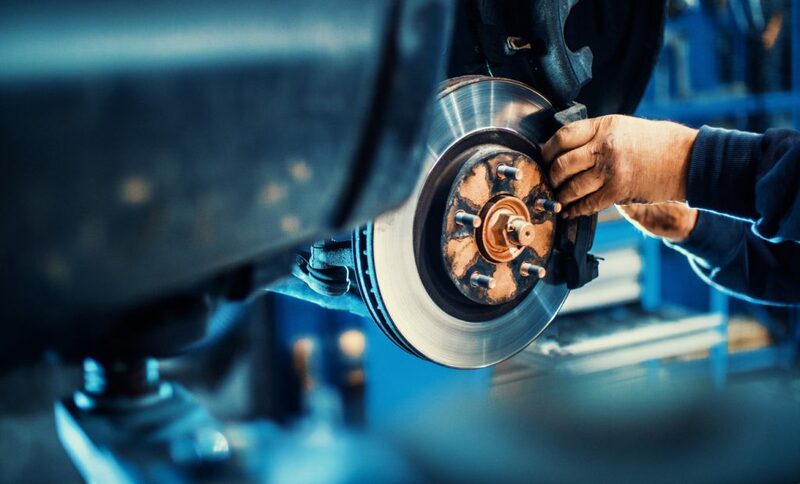 If you begin to notice problems with the performance of your brakes, or abnormal smells and sounds coming from your vehicle, investigate the problems sooner rather than letting the condition gradually worsen. If you don’t – you could be putting your life at risk. Further, waiting will only lead to more expensive parts wearing out and requiring a replacement. In this article, the Auto Exhausts & Tyres will take a look at some of the warning signs that your brakes need servicing, so you can catch dangerous problems before they happen. This is the most obvious warning sign that you should notice. When the brake indicator on your dashboard lights up, it could simply mean that your brakes are due for an inspection, but it could also be your vehicle trying to alert you to a specific problem with its internal functions. It’s worth noting that it could also simply be an engaged handbrake, so be sure to fully release it before you to confirm the issue. If you detect a particularly pungent burning smell from your vehicle, make sure that you call your local garage right away! The chances are, here, that you have a problem with your brakes. Unfamiliar and burning smells are rarely a good sign when it comes to your car, so don’t continue to drive in these unsafe conditions. If there’s any smoke coming from your wheel, this could be a sign of a stuck brake caliper, meaning that it would be unsafe to continue to drive. You might think that ‘spongy’ is a strange and inaccurate description for the feeling of pressing a brake pedal, but if you’ve experienced this problem, then it will make perfect sense. If you notice a difference in resistance when it comes to your brake pedal, that is, it feels a lot softer, then this is a signal that your brakes need servicing. Whether it’s problem of air or moisture in the braking system or something else entirely, your local garage will be able to identify and fix the problem. A grinding noise when you apply your brakes could mean a number of things. It could simply be that there is some gravel stuck in the brake, which is an easy enough fix. However, it could also mean that your brake pads have worn though, which is a much more expensive – and dangerous – problem. As such, make sure you take your car to the garage right away if you experience this issue.